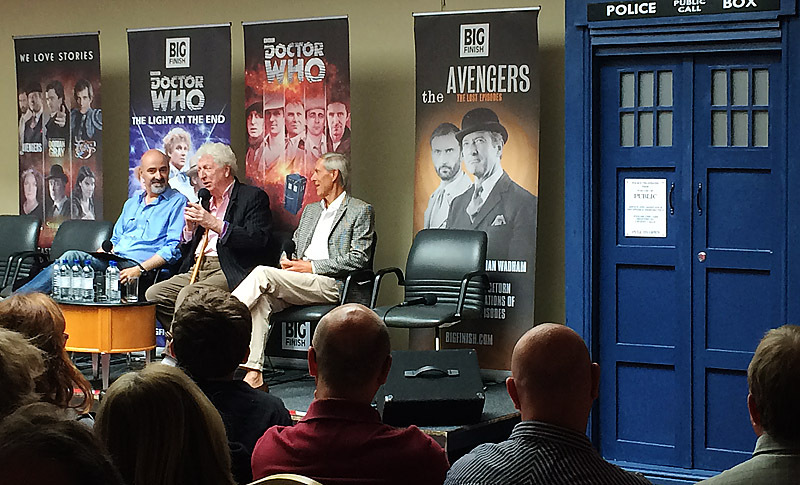 Had a great day out today in Windsor for the fifth Big Finish day convention. 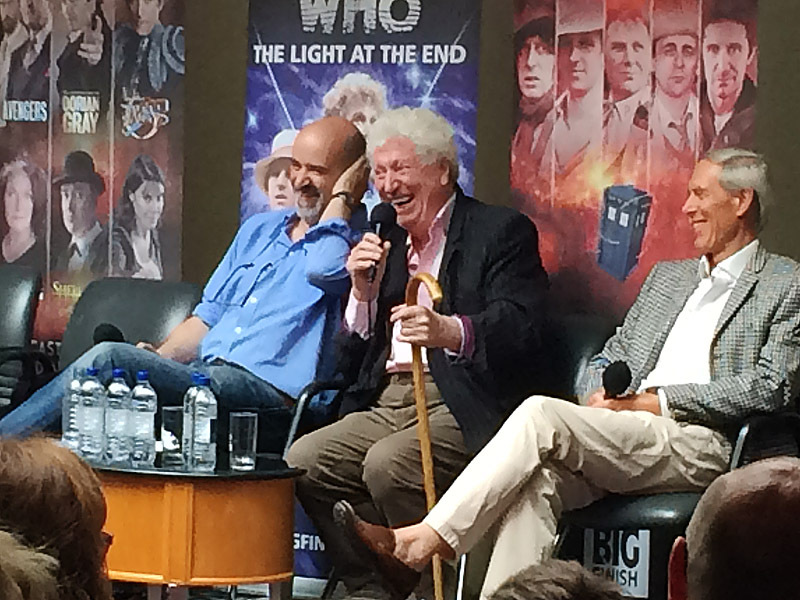 With Tom Baker as the headline guest, his pulling power alone meant the event was a sellout long before it happened. 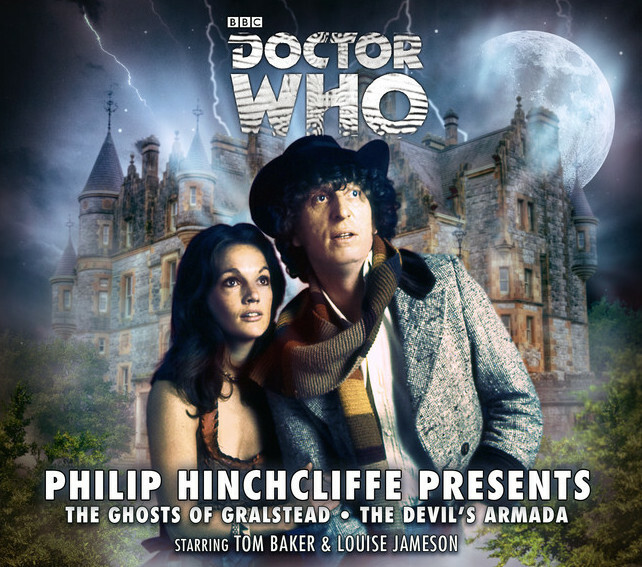 Being a Big Finish sponsored event, it was hosted by Nicholas Briggs who had the pleasure of interviewing Tom alongside producer Philip Hinchcliffe, who had shaped his Doctor during his informative early seasons. As expected Philip didn’t get much of a look in, while Tom stole the show. To say Tom was on form is an underestimation, as he was his most lucid and amusing I have seen for quite a while. He seemed to be relishing the Big Finish dramas he's been doing, giving him a new spice of life, which was fantastic to witness. Talking about his early life and confessional at his local Catholic Church, he had the audience rolling with laughter as he described the priest's rosary rattling when asking how many times a week Tom had an immoral thought. That the subject of his desire was from another parish made it acceptable. He related how Who Do You Think You Are? had researched his life with a view to him being the subject of an episode. Having found nothing beyond births marriages and deaths they had deemed his ancestors too dull to take it to broadcast. Following Tom's interview, it was time to queue for his photo opportunity. I was in full Fourth Doctor costume and Tom was very amicable to the fans, so he was fine about me putting the end of my scarf around his shoulder and asking him to hold my sonic! 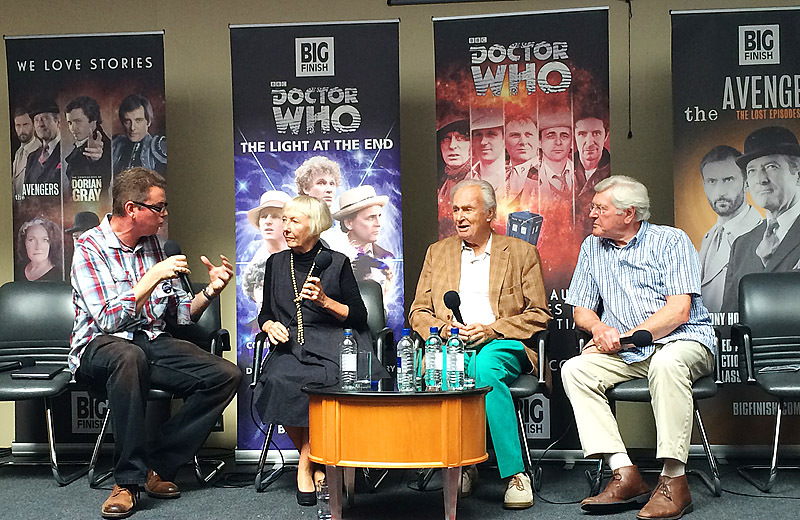 At noon it was time for another panel discussion, this time focusing on the Early Adventures with William Russell, Maureen O’Brien and Peter Purves, all of whom had worked with the First Doctor. 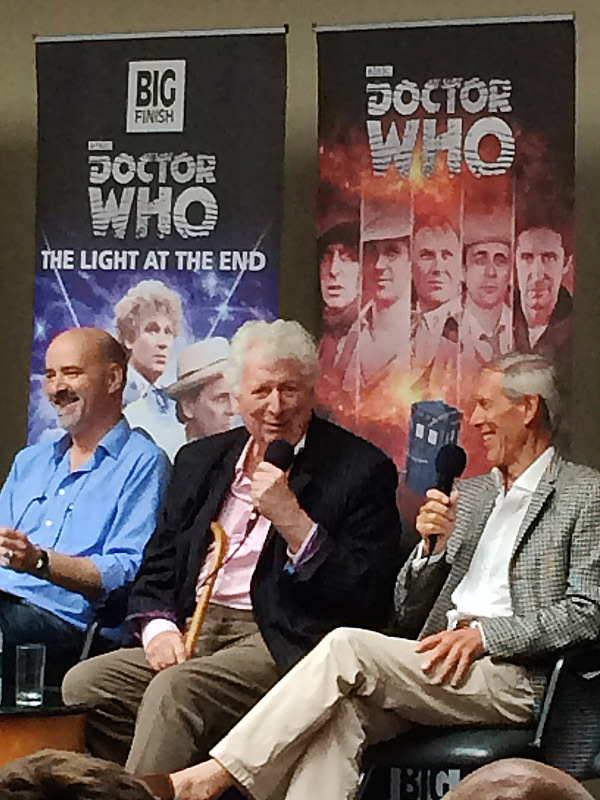 It was interesting to hear three contrasting views of the wilderness years of Doctor Who. 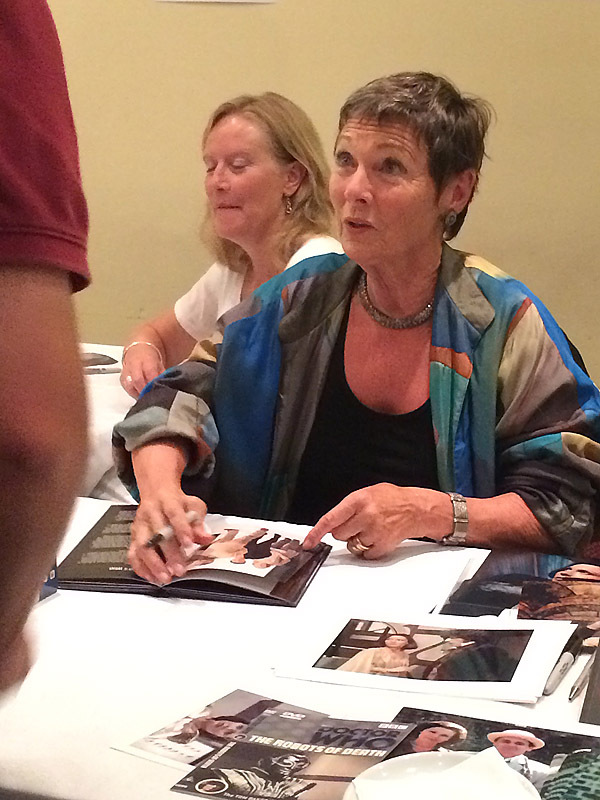 Maureen had resisted the Who world since leaving the series and working on many productions since. She had declined all invitations to conventions during the 1980s and 90s, but had been persuaded by 10th Planet who helped promote her book, gaining her over 200 sales in a single day. Peter was quite blinkered to the regenerated Doctors down the years - William Hartnell was THE Doctor as far as he was concerned and his dislike for sci-fi meant he had kept a distance from fans. But when Big Finish approached him to bring Steven Taylor back to life, he jumped at the chance and enjoys every minute of it. William also felt Hartnell was THE Doctor but felt only Sylvester McCoy got close to replacing him in his view. 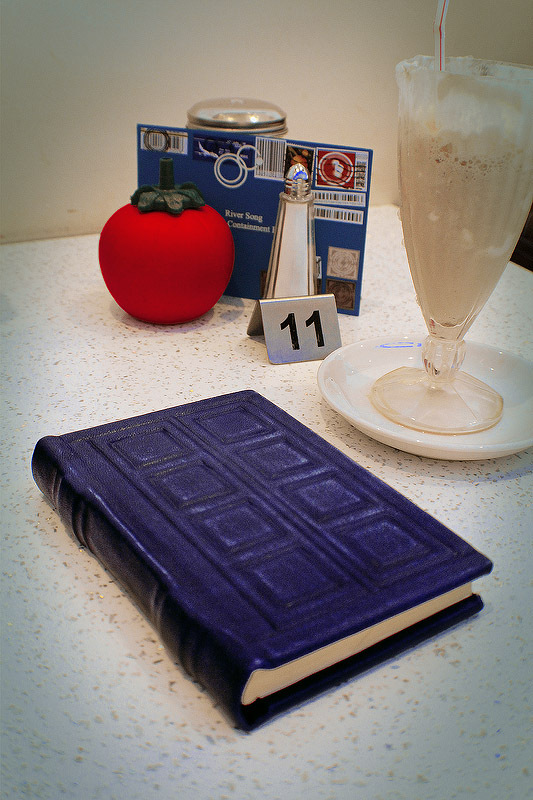 I then spent some time gathering autographs in my River Song book. 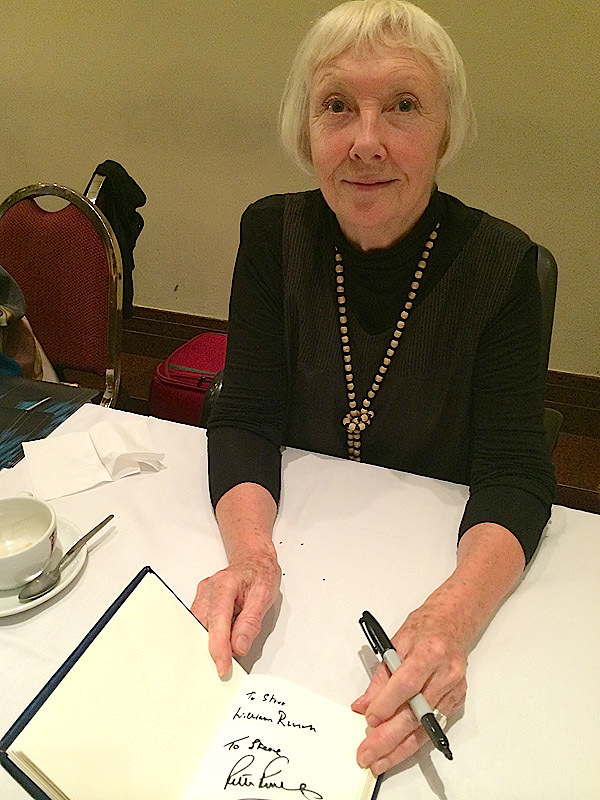 It was wonderful to see Maureen O’Brien as I always thought she was an under-rated companion. I also met Pamela Salem, who only the night before I had caught in an episode of Ever Decreasing Circles, playing the estranged wife of Paul Ryman. Finally I got Karen Gledhill who starred alongside Pamela in Remembrance Of The Daleks and now in the Counter Measures spin-off Big Finish series. 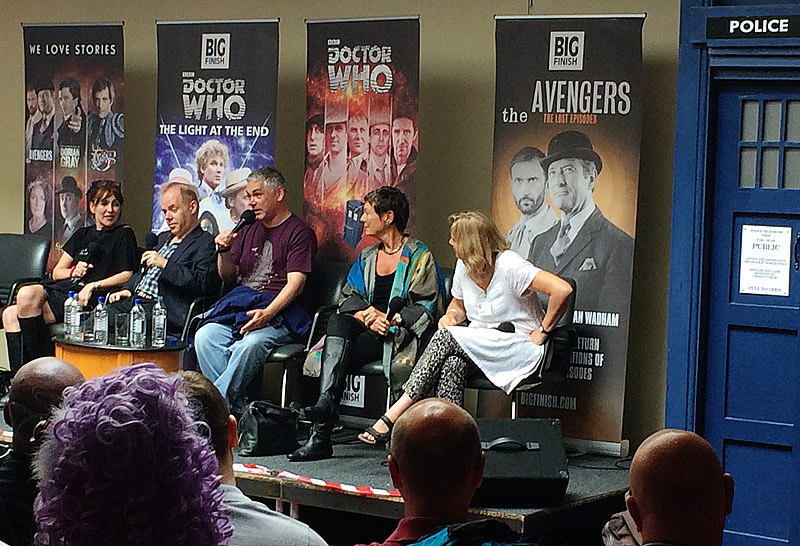 I missed most of the lunchtime panel, but caught Matthew Waterhouse recalling watching over 1,000 episodes of Dark Shadows, which he had mentioned in his autobiography, resulting in him being asked to star in the Big Finish range. 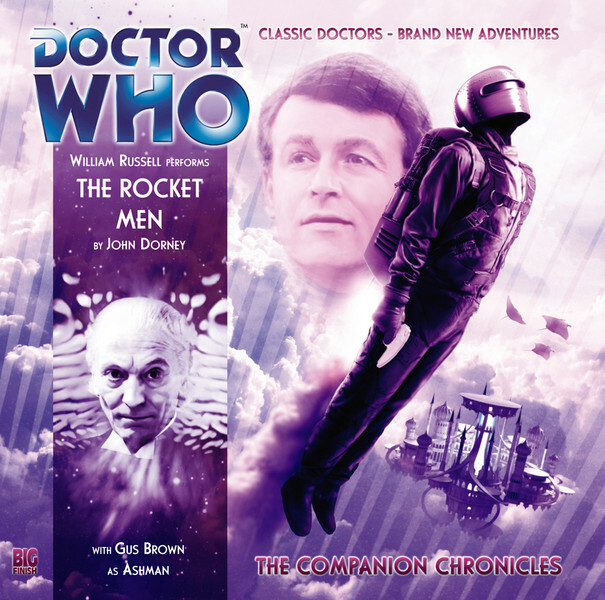 He waxed lyrical about how the original had been shot as live; broadcast five days a week; and had all the wobbly sets, visible cameras and actors forgetting their lines which Doctor Who had erroneously been accused of down the years. Nick Briggs chipped in that the closing credits would often be over a locked off shot of the empty set, and in one episode a lead actor walks into view wearing a dressing gown until he realises he's on camera and quickly darts our of view! There was then a cosplay competition, judged by Strax himself, Dan Starkey. 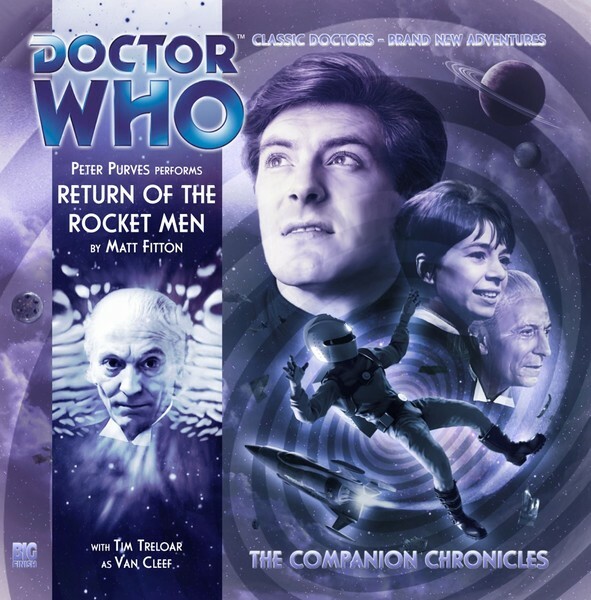 There was £50 of Big Finish CDs on offer for the winner. Ironically I lost out to a friend of mine - wearing one of my Sixth Doctor costumes! 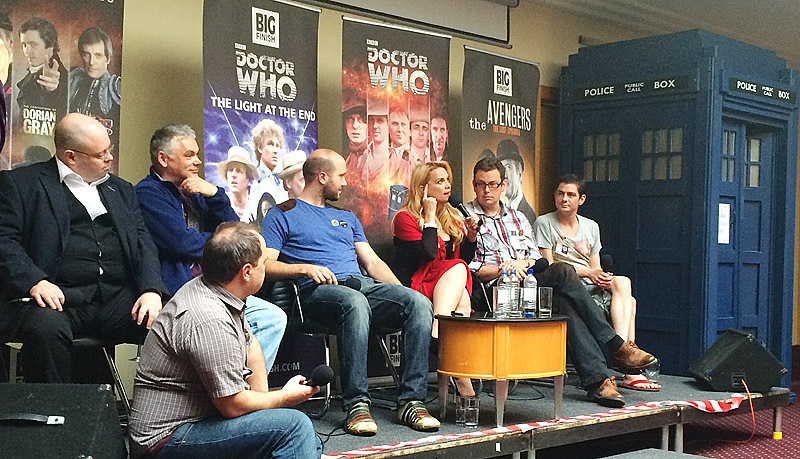 The final panel I attended was a three-in-one, covering spin-off series Vienna, Dark Shadows: Blood Lust, and of particular interest to me, Terrahawks. On hand was Jamie Anderson, son of puppetry legend Gerry Anderson. With a new Thunderbirds tv series already in the pipeline, attention turned to Terrahawks as potential adaptation fodder. Most of the original voice cast are still available, including Denise Bryer who at 85 will return to voice Zelda. Jamie told an amusing tale of how Mora Griffiths, was cast as Kate Kestrel for the SOS single not for her singing talent, but because she uncannily looked like the already made puppet! While all of this was going on, Tom was signing autographs like a trooper. We all had numbered tickets and we were to get our chance in order, so being 237 I knew I had a while to wait before I needed to even think about queuing, giving me the chance for lunch! Finally they were calling tickets over 220, so I headed over to meet Tom. There was only one thing I wanted signed - and I wanted him to write something very special for me, and with him on top form I knew he would be up for it. 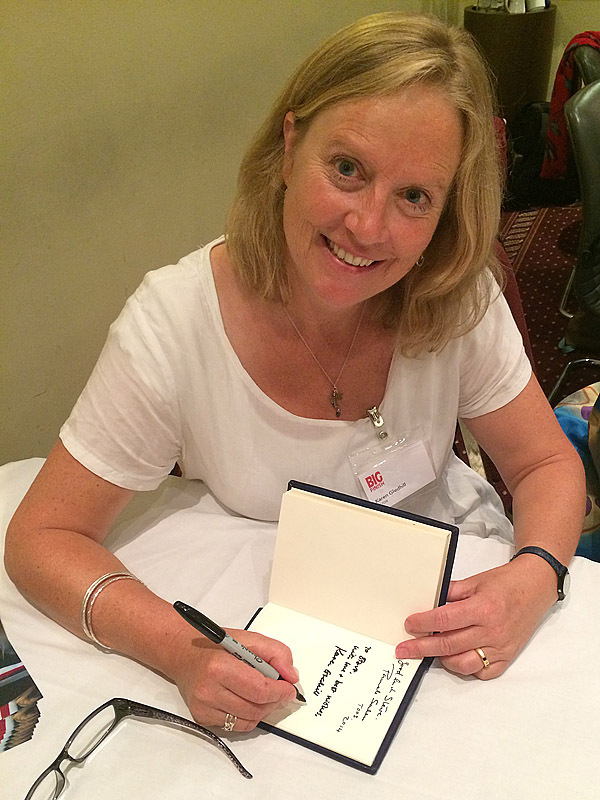 If you've followed this blog, you may have seen Target novel he signed for me in 1977. As a dedicated 11 year old Doctor Who fan I was beyond excited to meet my hero, but was terrified of him spelling my name wrong. 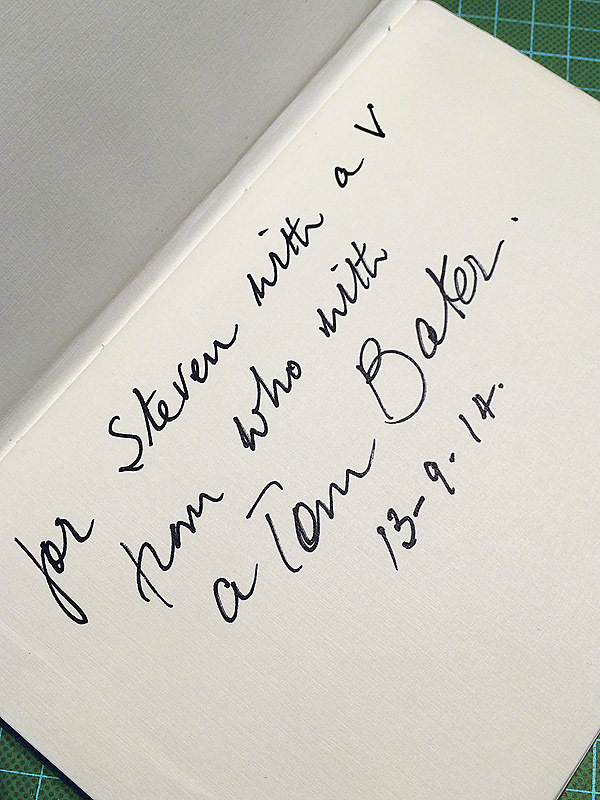 So when I finally got to the front of the queue and I was asked my name, I said “Steven - with a V!” So Tom wrote the dedication as “To Steven with a V from Who with a Tom Baker”. Down the years it has been a phrase that makes quite a lyrical sound in my mind. 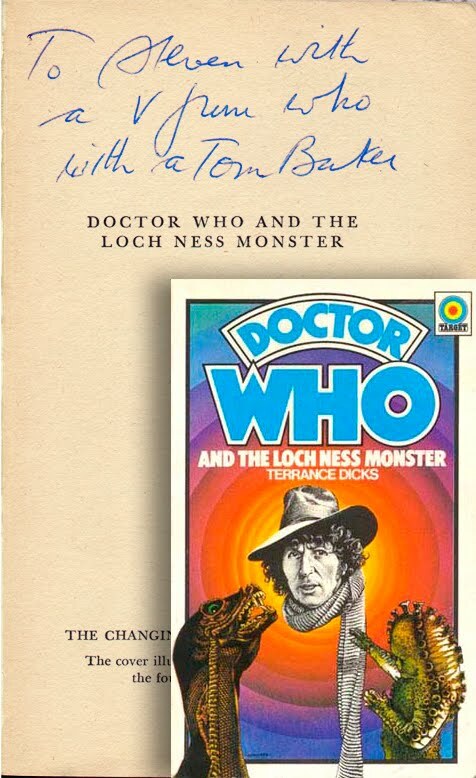 Now I have a River Song book for my autographs, I want Tom to rewrite the same dedication for me, 37 years later, which he was more than happy to do. I asked him to sign page one of the book, and he did a great job. Thanks Tom - it made my day.